Germany actually has a Department of Palaces to maintain all the palaces that exist in the country and among them is Linderhof Palace which is the smallest of the three palaces (Neuschwanstein, Linderhof, and Herrenchiemsee) built by King Ludwig II and is also the only one that he lived to see completed. Linderhof was originally a forester's house used by King Ludwig II and his father Maximilian II during their hunting trips but was later remodeled and redesigned into the current palace that you see today. This was a slow transformation which took place starting in 1869 and ending in 1886 which is also the year in which King Ludwig II passed away. 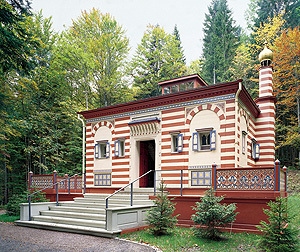 Within the palace complex, there are also the following buildings: the Grotto, Moorish Kiosk, Hunding's Hut, Moroccan House, and Hermitage of Gurnemanz. 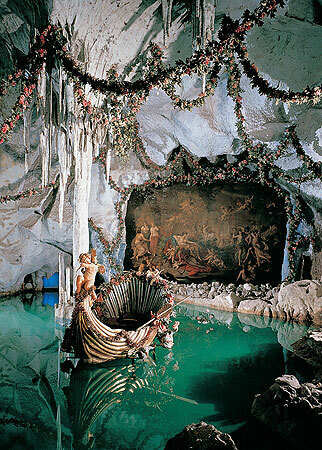 The Grotto was built as the king's representation of the First Act of Wagner's 'Tannhäuser'. 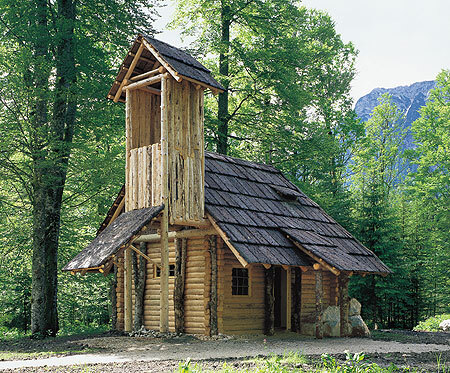 The Hunding's Hut was inspired by the First Act of Wagner's 'Valkyrie'. Hermitage of Gurnemanz was inspired by the Third Act of Wagner's 'Parsifal'. Moroccan House was a piece that Ludwig bought and imported. Originally built in Morocco for the World Exhibition of 1873. 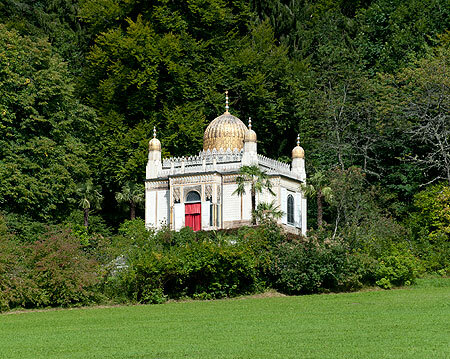 Moorish Kiosk was another piece that Ludwig bought after seeing it at the World Exhibition of 1867. Pictures not allowed in the palace, royal lodge and King's House. Generally open from 9:00 am to 6:00 pm with tours available in English for both the palace (about 25 minutes) and the grotto (about 10 minutes). Admission is 8.50 euros for palace and park buildings. 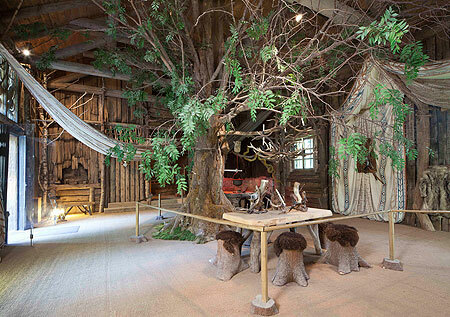 For information go to http://www.schlosslinderhof.de.